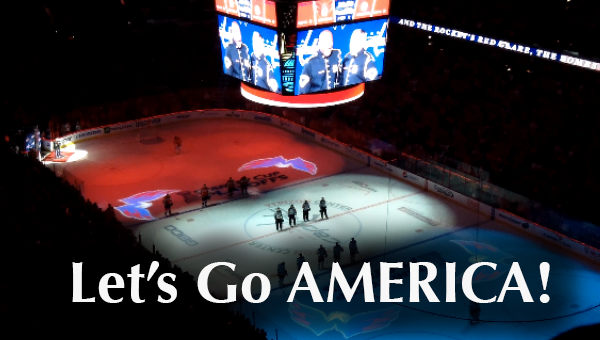 Before the start of Game 2 of Rangers/Caps of the NHL playoffs, A group of New York Rangers fans at Verizon Center decided to wait for a quiet moment between stanzas in the National Anthem to scream "Let's Go Rangers". It was really annoying and ruined what is typically a nice patriotic moment before games. Video follows. Although Caps fans still yelled "OH" so I don't know how that isn't bad/stupid too. I was in the upper deck and could hear the fans who were all the way on the other side of the arena.